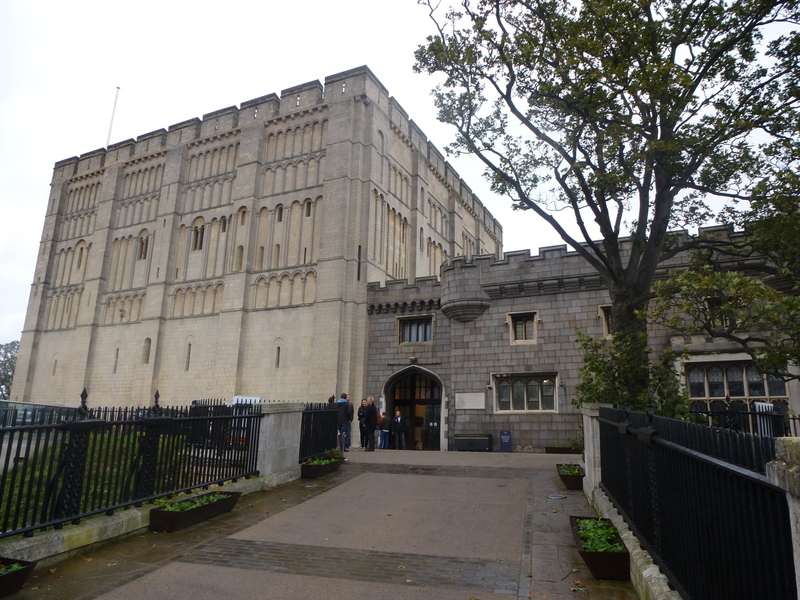 Norwich Castle is a huge bulk of a place, its impressive Norman keep surrounded by later buildings which in the 18th and 19th Centuries were used as a gaol. in 1887 the Castle was bought by the City of Norwich, and after eight years of heavy restoration it reopened as the local museum. The rambling interior of the castle is filled with wonders, everything from Roman coins to rooms full of stuffed animals of every sort. As a fan of Cabinets of Curiosity, I was excited to find the small room which contained the Fitch Collection. With its numerous glass cabinets filled with weird and wonderful objects, the Fitch Collection reminded me of a miniature version of the British Museum’s Englightenment Gallery. It was here that I discovered the magically macabre severed hand of Sir John Heydon. 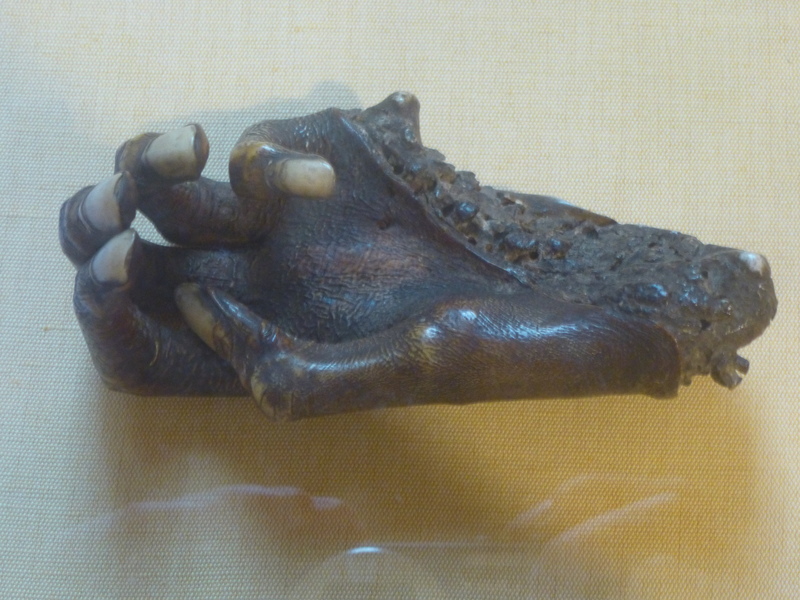 The now-mummified hand was reputedly cut from the rest of Sir John during a duel in January 1600. How the wizened little thing ended up in this collection is a mystery. With is delicate fingers, tiny white fingernails and surprisingly clean cut, the hand is marvelously gruesome, and perhaps not for the squeamish or faint hearted. But who said magic couldn’t be grim and goulish? Find out more about the hand of Sir John Heydon here.